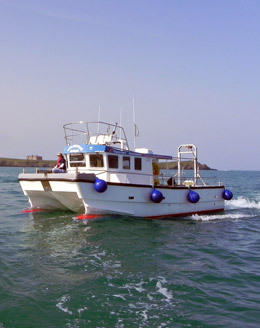 A Superfast 10m Blyth Catamaran with an "island" wheelhouse, purpose built for Diving, Snorkelling, Conservation, Angling, Survey and Commercial Work. Powered by Twin IVECO NEFF diesel engines rated at 330hp, giving a top speed of 30 Knots! 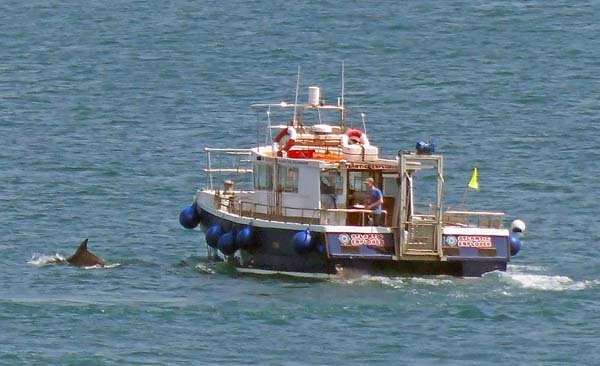 The Atlantic Diver is MCA licensed, WISE accredited, DAN affilliated, insured for 12 passengers up to 60 miles offshore. and fully equipped with Full Safety Equipment. 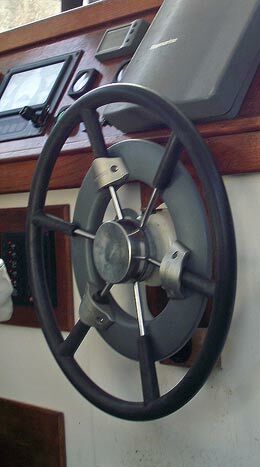 The "Island" Wheelhouse allows for a superb 360 degree platform from which to fish, or view the many varieties of marine and bird life off our beautifull shores and presents a unique opportunity to spot Basking Shark, Blue Shark and Dolphins for our Shark Swimming/Watching Trips. 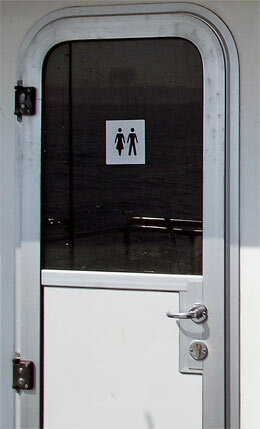 The side entrance door allows for easy entrance into the water from the deck. A zipped side canopy provides shelter/shade for those wishing to remain on deck during transit. 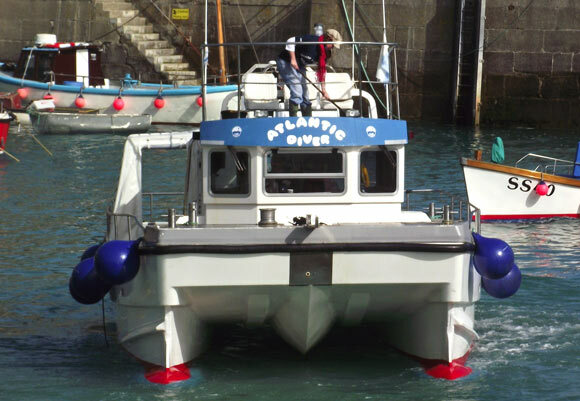 A Hydraulic operated diver recovery lift is fitted to the stern and is manned by the skipper for your every safety and makes exiting the water effortless even when fully kitted with side mount cylinders. A 10m Blyth catamaran purpose built as a diving and angling boat, and is coded to cat 2 ( 60 miles offshore ) she has a very large deck area and can easily accommodate 12 Divers or Anglers. she is powered by twin 170hp Yanmar turbo diesel engines with a top speed of about 17 knots. She has a modern array of electronic equipment including sonar,radar and AIS to assist in finding the biggest fish and carries enough quality rods and reels for everyone. 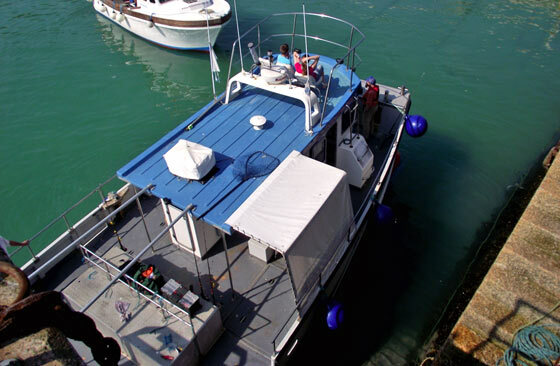 She has private toilet facilities for your comfort and a diver recovery lift for ease of recovery from the water.